The Early Childhood Education Center at B’nai Aviv is accredited by A.P.P.L.E. (Accredited professional preschool learning Environment) and offers children a healthy social and educational experience under the care of qualified staff. 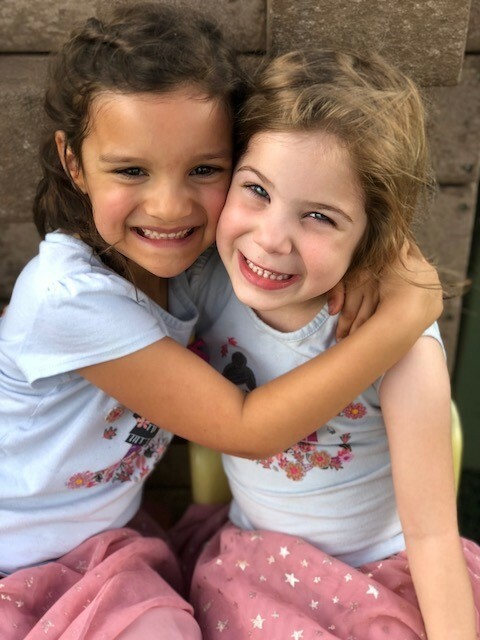 Our program builds a strong foundation for early learning and Jewish identity in young children in a safe nurturing and stimulating environment. Each classroom consists of “play areas” or “learning centers” where children have opportunities to explore materials while engaging in active hands-on learning experiences. Through play children develop language, logic, social skills, cognitive thinking, problem solving, gross and fine motor skills and become emotionally secure with themselves and their environment. A daily schedule provides children with a sense of security and predictability. Age appropriate toys puzzles and games build eye-hand coordination. Soft toys and dolls, toy dishes and dress-up clothes encourage imaginative play. Building toys, sand and water play promote math and science concepts. Creativity is enhanced while children explore many art mediums and experiment with different processes. Literacy is encouraged through language experiences books and activities related to Shabbat and Jewish holidays to provide a strong foundation for the Judaic component of our children’s learning experience. Children are given ample time to run exercise and develop coordination both through our indoor and outdoor play areas. Through developmentally appropriate activities every child will have the opportunity to develop many skills including learning to get along with others and build independence and self- respect. You Belong Here-Learn with us! "B’nai Aviv ECEC has been the best thing for our daughter. Aviv ECEC for creating such a wonderful place for our children." B'nai Aviv and enrolled our daughter in the ECEC and camp. with our daughter has really helped make it feel like "home." We have watched our daughter blossom and gain so many new skills since joining B'nai Aviv. We feel very blessed to be part of such a wonderful program. to feel at home in every day."